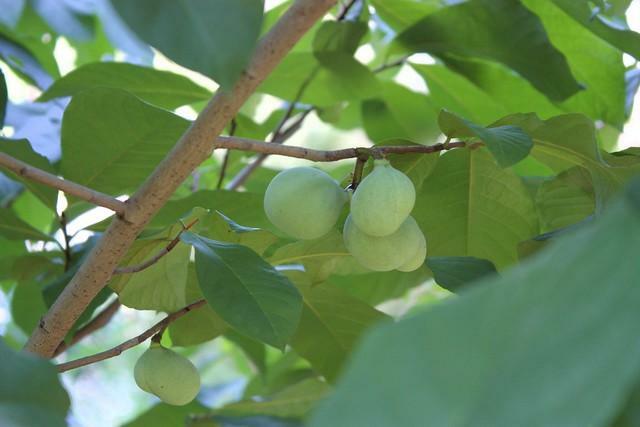 The Pawpaw: Missouri's New Official State Fruit Tree? Missouri may be adopting an official state fruit tree by the end of this session. The Senate gave initial approval to a bill on Thursday that would designate the pawpaw tree as the state fruit tree. The bill’s sponsor, Senator Karla May, explained the many uses the fruit of the pawpaw tree has for Missourians. It’s baked in custards, cookies, and breads, fermented in wine and beer, and frozen into pulp. “And what’s the buzz? Everybody wants to know what the buzz is for the pawpaw tree. Well basically, it’s a native fruit, it’s antioxidant rich, and it’s very versatile in the kitchen,” said May. An additional section of the bill would name the hellbender salamander as the official endangered species for the state of Missouri.